As I mentioned previously, I had brought in some new coffees. Four to be exact. We have had one round of the Cuban Crystal Mountain and the Ethiopian Kaffa Wild Forest coffees. Both coffees to be savoured. To be much appreciated. Last night I roasted the two remaining of those that that I brought in. The Hacienda El Cafetal of San Cristobel Island in Galapagos is the origin of this coffee. 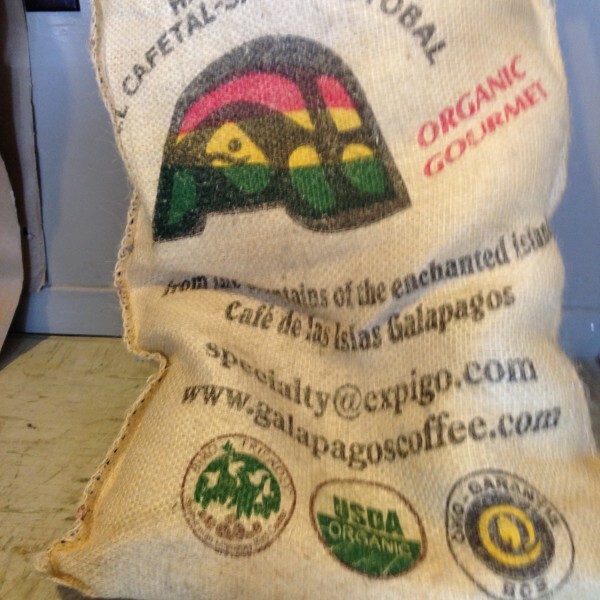 This coffee, like the Galapagos Islands themselves, has an interesting history going back to the mid-1800s. The Hacienda has OCIA International Organic Certification, and has become and ecological tourist attraction on the islands. The coffee itself has a very nice aroma with some nice fruit and caramel coming through. Another one to savour. The Yemen Mocha Ismaili is the last of the new coffees to be roasted. I have talked a little about the history of coffee in Yemen, as it refers to the other Yemen coffee that we carry, the Yemen Mocha Mattari. You will find some of that here and here. Two very special coffees to be savoured somewhere warm at this time of year. This entry was posted in Coffee, Food and tagged featured roast of the week, Fresh roasted coffee, Galapagos coffee, Galapagos Islands, Pontiac, Quebec, Shawville, small batch coffee roasting, Torréfaction de la semaine, torréfié frais, Yemen Coffee, Yemen Mocha Ismaili. Bookmark the permalink. 3 Responses to This Week’s Featured Roast/Torréfaction de la semaine: Roaster’s Cheer Again!